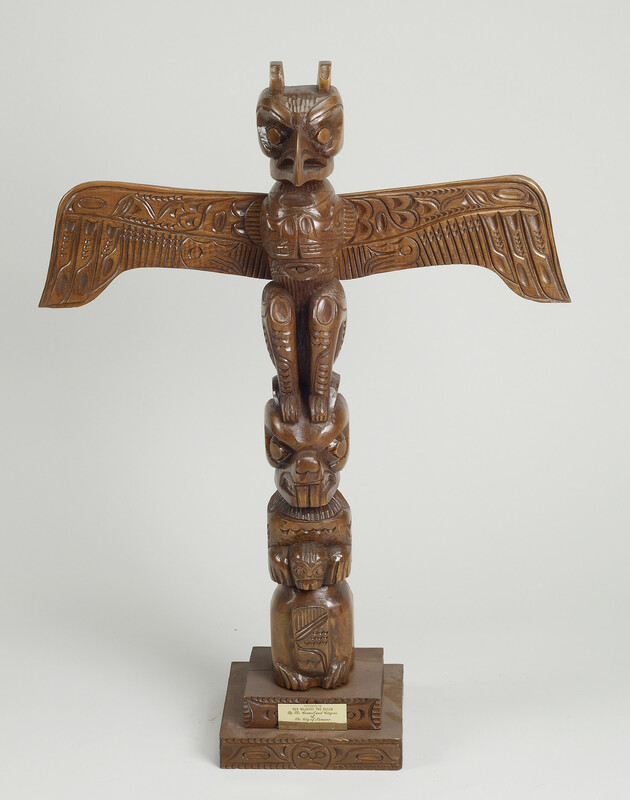 This totem pole, carved by the First Nations of Canada's north-west coast, features the mythical thunderbird Tsoona at the top, with its wings outstretched. The Thunderbird is believed to bring life, and to create thunder by flapping its wings. Presented to Queen Elizabeth II by Mayor Frank J. Ney of Nanaimo, British Columbia, during her official visit to Canada, 3–12 May 1971.